Skype Translator has expanded beyond the webcam and broken free of its app, the company announced in a blog post. With a new update, you’ll be able to call people around the world and have your conversation interpreted instantaneously — even if they’re using the last remaining rotary phone still in service. The real-time verbal translation tool, which debuted as a preview back in 2014, had been previously limited to Skype-to-Skype calls. With the latest version of Skype Preview, conversations between a Skype account and mobile phones or even landlines will now be accessible for the verbal translation. Windows Insider Program members (which is free to join and open to the public) will be the first to have access to the new feature. With the Skype Preview software downloaded and updated, all that’s needed to make the international and landline calls is either sufficient Skype credit or a full-on subscription to the service. When placing a call, users just need to set their language of choice and the tool will take care of the rest. The person on the other end of the line will hear a message stating that the call is being recorded and translated through the service, which will be very clear once the conversation begins. Most of the developments to Translator up until now had been focused on bringing more languages into the fold, with Mandarin Chinese coming onboard in April 2015 and Arabic debuting earlier this year. To date, nine spoken languages are supported: English, Spanish, French, German, Mandarin Chinese, Italian, Brazilian Portuguese, Arabic and Russian. 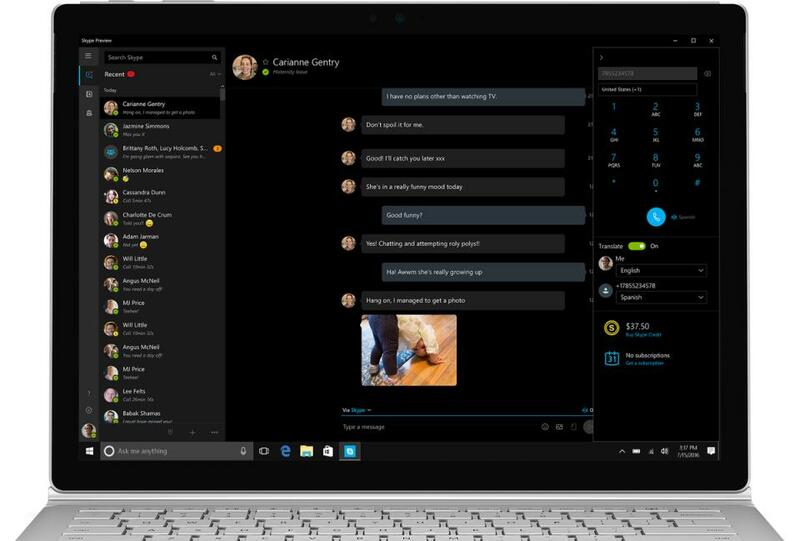 The new version of Skype Preview will also give users new options to share contact details with other users, offline video messaging, the ability to mark conversations as read or unread and Skype call forwarding to a mobile or landline number. This new feature will open up Skype’s translation service to an even wider network, and its potential could be endless. From family members making calls across oceans to journalists interviewing sources in remote areas, we’ll soon be able to understand each other a little bit better — even without an internet connection.